Yesterday’s event was another success. With help from the Marketing Club, we hosted the “How to Market with $0” event. Five teams pitched their ideas on how to market OSU student Alex Dassie’s new product “Seiji’s Bridge,” a one-of-a-kind Frisbee that plays music. Each team competed for prizes and were judged on creativity, feasibility and company fit. Seiji’s Bridge helps people with disabilities through physical activity and music therapy. All teams agreed that Seiji’s Bridge should work with Star Sports, a company at OSU that reaches students with disabilities through sports. A few teams also agreed that working with Oregon Special Olympics would show the compassionate and practical side of the business. One of the most creative marketing strategies that fits best with the company best is getting doctor testimonials and displaying those on Seiji’s Bridge’s website and sharing them on Facebook to get the word out. Another interesting marketing idea is to partner with schools to incorporate the product with students who have disabilities as a form of therapy and physical activity for the students. On a campus-based outreach, teams suggested creating a video of OSU students playing ultimate Frisbee with the product. All of the ideas would reach the three goals from the criteria, since there is no cost associated with them, these strategies can easily be put into action. This product is made for all people wanting a fun, new interactive activity. During one week each November, GEW inspires people everywhere through local, national and global activities designed to help them explore their potential as self-starters and innovators. In 2015, 25,000 partners organized GEW events in more than 160 countries. These activities, from large-scale competitions and events to intimate networking gatherings, connect participants to potential collaborators, mentors and even investors—introducing them to new possibilities and exciting opportunities. Everyone at OSU is encouraged to participate in at least one GEW event or activity. You can participate by joining an event listed on the GEW calendar – OR – you can organize your own event! To list your event on the OSU GEW calendar, just submit it here and we’ll include it in our GEW announcements and help get the word out. Use #GEWBeavs to share your OSU GEW2016 experiences. 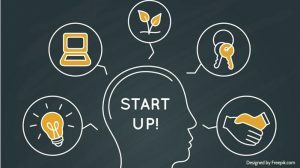 GEW and the Startup of YOU! GEW began in 2007 by the Kauffman Foundation, the world’s largest foundation focused on entrepreneurship. In 2008, GEW exploded globally when the foundation partnered with the UK’s former Chancellor, Gordon Brown. Eighteen organizations stepped forward to host GEW events in 37 countries. Millions who had never before considered launching their own ventures soak up advice and inspiration from the likes of Richard Branson, Michael Dell and Muhammad Yunus. Thousands of brand new startups spring to life during GEW through bootcamps like Startup Weekend and competitions like Startup Open. Hundreds of universities strengthen connections that help them commercialize research from their labs. Researchers and policymakers engage in discussions around the world to examine the underlying policies necessary to promote entrepreneurial growth. Go forth and be entrepreneurial! © 2019 Global Entrepreneurship Week at OSU, all rights reserved.